Being the seventh defenseman in a sport where generally six play on any given night means one does a lot of waiting and playing on a lot of short notice. 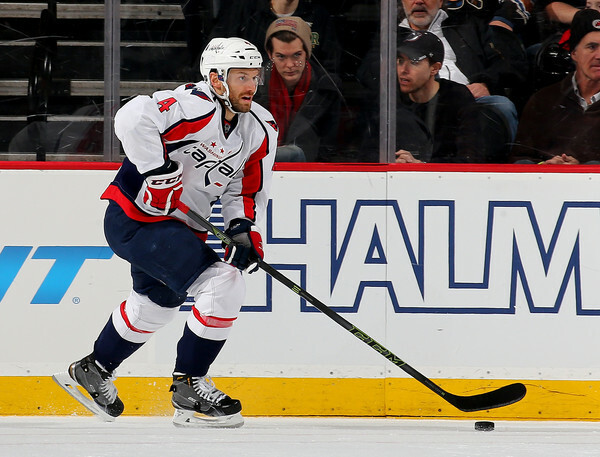 For the Washington Capitals, that role has been Taylor Chorney’s for the past two years. Last season, it meant getting into a career high 55 games in the regular season (largely due to an injury to Brooks Orpik) and another seven games in the postseason. This season, his participation numbers were more modest, more in line with his role. This season, his participation was limited to 18 games, which is still the second highest number of games in which he participated in a season since 2009-2010, when Chorney dressed for 42 games with the Edmonton Oilers. As one might expect from a player in a seventh defenseman role, the opportunities were brief and sporadic for Chorney. 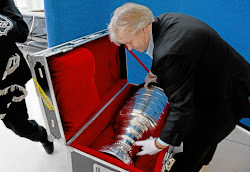 Seven times he played in what was essentially a one-off, dressing for an evening and then returning to the press box. His longest stretch of games this season came in Games 44-49, a six-game stretch in late January. The odd part about Chorney this year (and last year as well, and we’ll get to that) is that while you will find few fans who will think, “hey, let’s get that guy in the lineup,” he was not a liability where it counted. Washington was 13-3-2 in games in which he dressed this season, 42-16-6 when he did not. Eighteen games is a relatively small sample of games from which to draw conclusions about his value as a defenseman, even as a coincidental good luck charm, but a 128-point pace in games in which he played is not something one should return to customer service because the style points weren’t here (the Caps had a 115-point pace with Chorney in the press box). And what makes the coincidence of his presence in the lineup and wins a bit stranger is that a more energetic performance in the offensive end was not tied to success as far as wins and losses. The Caps were just 3-0-2 in games in which he recorded a point, 10-3-0 when he did not. They were 9-2-2 in games in which he recorded a shot on goal, 3-1-1 in games in which he did not… little difference there in standings points pace. Fearless’ Take… This idea of “More Chorney, More Wins” is not exactly unexplored territory for Chorney, either, at least with the Caps. In 73 career games with the team, Washington is 53-13-7; again, a 127-point pace per 82 games. Cheerless’ Take… Yeah cuz, well, there is something for staying in your lane, too. The Caps were 5-3-0 in games in which he skated more than 14 minutes. Not bad, all things considered. But they were 8-0-2 in games in which he skated less than 14 minutes. Odd Chorney Fact… Taylor Chorney was an "even" or better player in 17 of 18 appearances this season. New Year’s Day is a time for new starts, for new directions. For Taylor Chorney it would be something not experienced in 2,147 days and 83 NHL games. It came early in the third period of what was a 1-1 game between the Capitals and the Ottawa Senators. 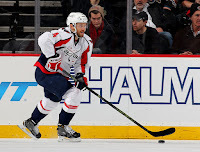 The Caps had the shock troops on the ice – the fourth line of Jay Beagle, Tom Wilson, and Daniel Winnik along with the third defensive pair of Brooks Orpik and Chorney – applying pressure in the Senator end. Winnik fought off Curtis Lazar in the right wing corner and freed the puck to Wilson in the faceoff circle. Wilson backhanded it to Chorney at the right point, who fed in across in turn to Orpik at the left point. Orpik sent a return pass to Chorney, who one-timed the puck through a maze of bodies and past goalie Mike Condon’s right shoulder into the back of the net at the 2:43 mark. The Caps had a 2-1 lead that they would hang onto for the last 17 minutes and change for the win. For Chorney it was his first goal of the season, on the only shot on goal he recorded for the game, and it was his second career game-winning goal, his first since potting one in a 4-1 Edmonton Oiler win over the Dallas Stars on February 15, 2011. In an 82-game regular season there will be games in which a mass loss of memory is helpful. 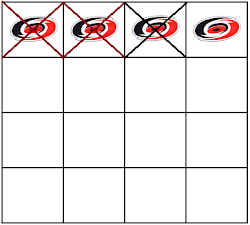 The January 24th meeting of the Caps and the Senators qualifies. The Caps fell behind 1:46 into the game on a shorthanded Senators goal and were down a pair of goals before the game was five minutes old. When the Senators scored a power play goal less than 12 minutes into the second period to take a 3-0 lead, the competitive portion of the game was all but over. The Caps did try to get their scorers onto the ice for more chances to claw into the lead, and that meant less ice time for players like Chorney. He skated a team low among defensemen of 18 shifts and did not record a single shot attempt in his 14:04 of ice time. He was not on ice for any of the three goals against, but it was a very quiet night in a very forgettable game all around as the Caps dropped a 3-0 decision in Ottawa. 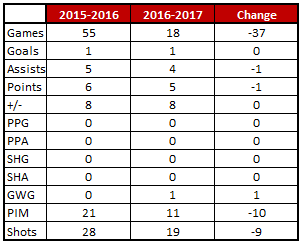 Taylor Chorney had a rather strange 2016-2017 season. The 18 games played makes for a small population of games from which to see consistency among his numbers, but the team’s success with him in the lineup was inconsistent with his possession numbers. He skated with nine defensemen this season at 5-on-5, and eight of them had better possession numbers apart from Chorney than alongside him (numbers from stats.hockeyanalysis.com), John Carlson being the lone exception, but he skated just 2:27 in 5-on-5 ice time with Chorney. But winning cures a lot of ills, and the Caps did their share of winning with Chorney in the lineup. That is not to say that Chorney was a key contributor – how many seventh defensemen are? But he was not the liability he could have been in that role, either. Everyone has a role to play, some large and some small, and when the opportunities came from time to time in Chorney’s modest role with the club, the results were about as good as could be hoped for.